TS Emilia has formed in the Eastern Pacific well south of Mexico. Emilia is not currently forecasted to become a hurricane. Another system behind Emilia has a 90% chance of development through the next 5 days. 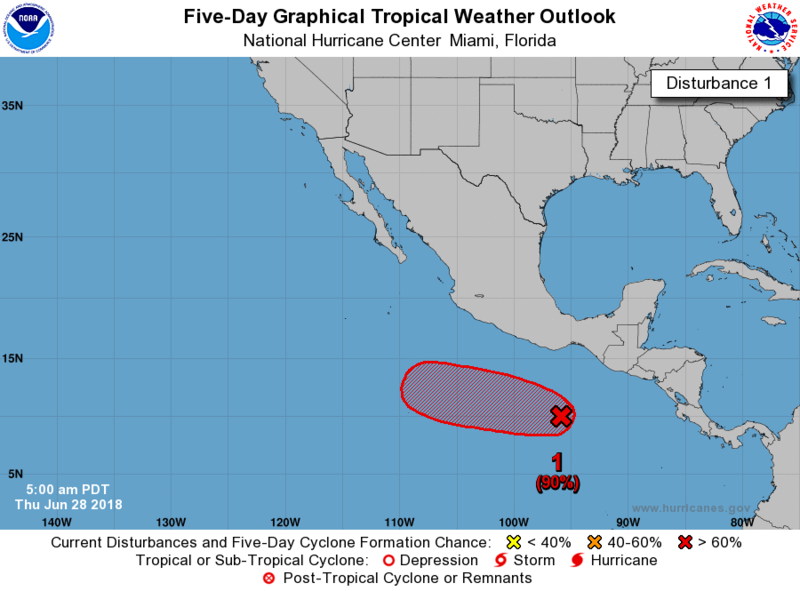 This system is also expected to remain well south of Mexico.